This book gets two stars for the easy, fun writing alone. Otherwise there isn't much more to say about this book. It had lovable characters as expected, but the plot was exactly like Connor and Liss' story. I mean, almost exactly. It's a girl/guy best friends-to-lovers storyline where the girl realizes what's happening between them way before the guy does. She wants more, he fights against it and then eventually comes around. This is not only exactly like another Copper Ridge book, but it's like many books of this kind. I read it and I made it to the end but I can't say I liked it when Brokedown Cowboy had the same plot. Don't get me wrong. 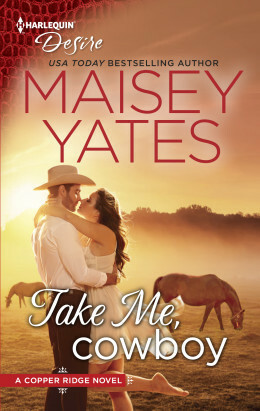 I love Maisey Yates and will continue to read her books. But this one was just a disappointment. Oh well. On to the next one! Check out my other reviews of the Copper Ridge series!